Oh talking about new collections, have you heard there will be a collection in collaboration with Charlotte Olympia next year? 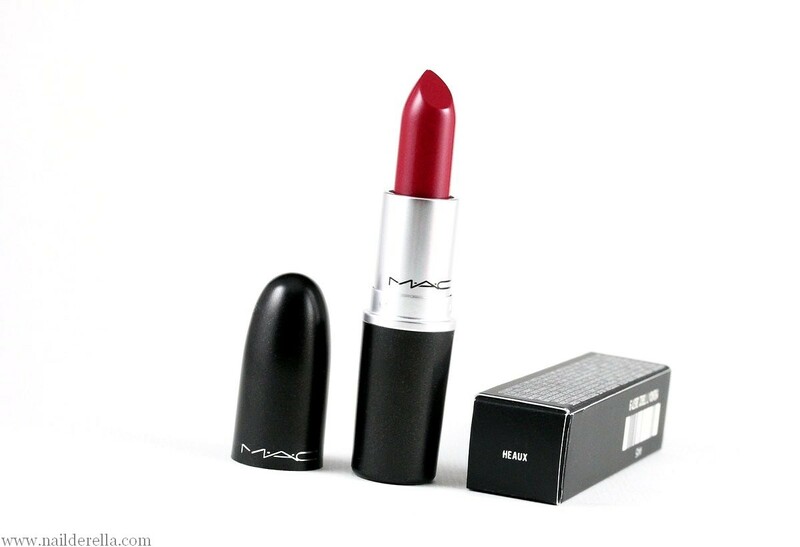 I'm so happy because I love her! MAC Veluxe A Trois was released a few weeks ago and at first I decided to be brave and only get one lipstick, i.e. Heaux. 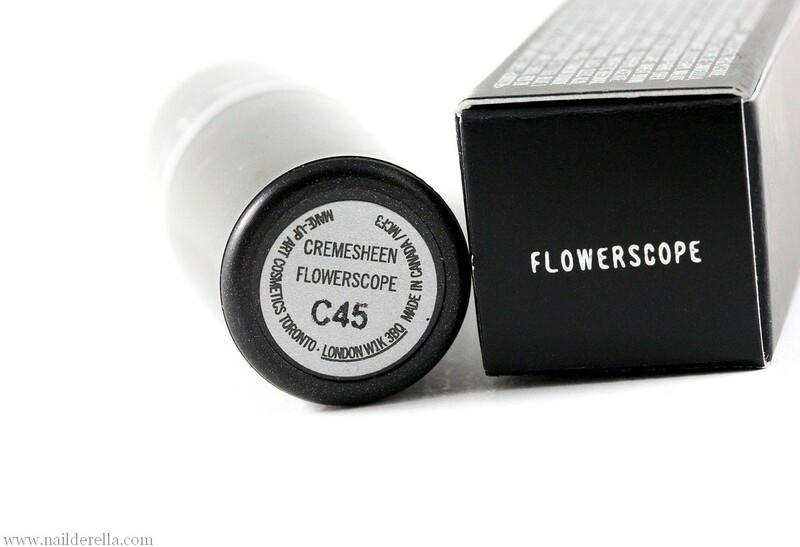 But finally I also picked Flowerscope a couple of days ago and I absolutely do not regret because it's a gorgeous color! 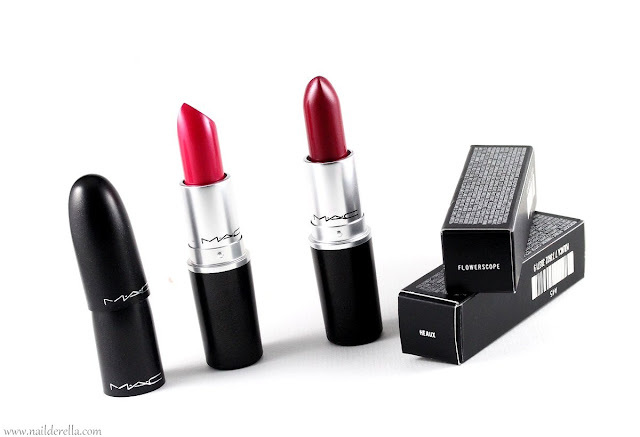 To be honest, all the lipsticks in this collection look really appealing. 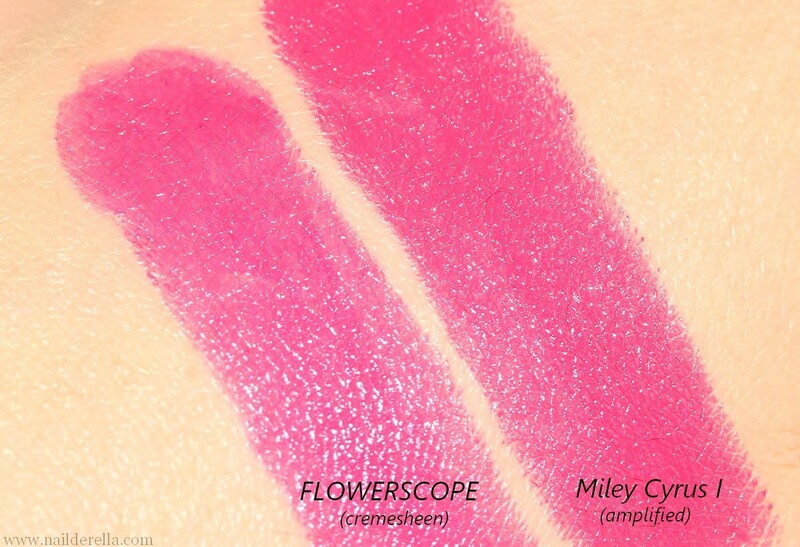 Flowerscope on the left, Heaux on the right. 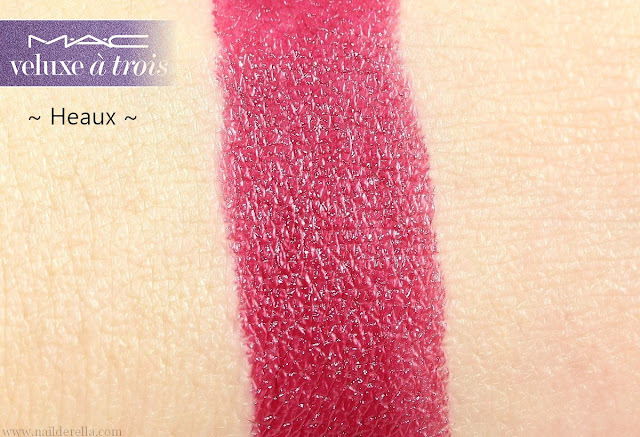 MAC Heaux is described as a berry color with Ampified finish. It's actually a medium-dark berry perfect for fall. 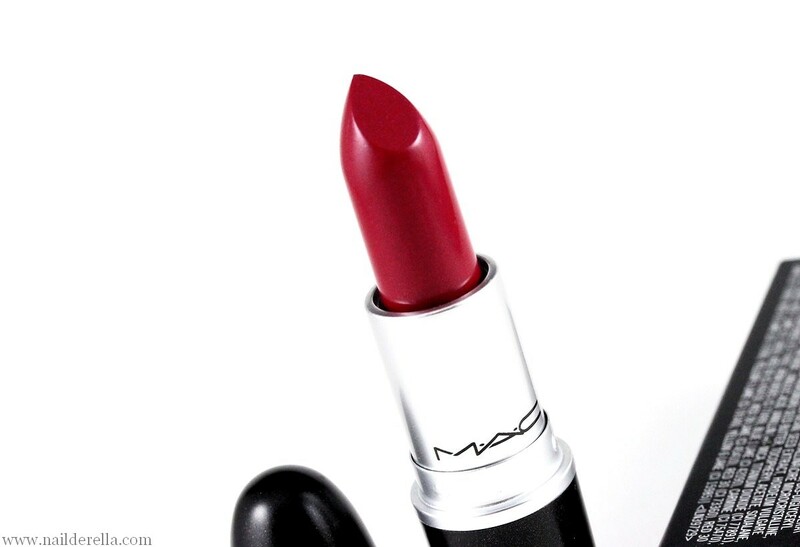 It's not too dark nor too bright for the season, just perfect I tell you! 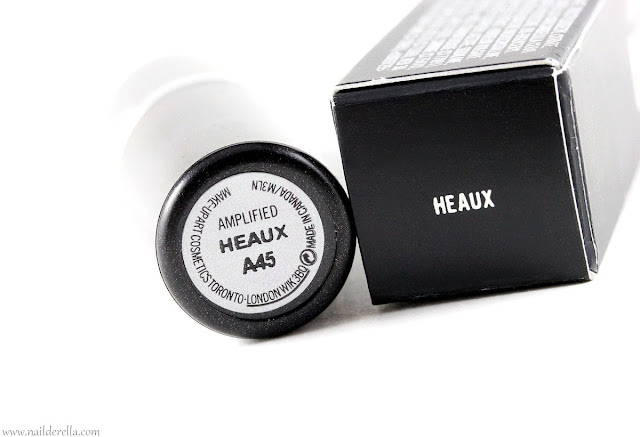 If you want to go into darker shades for fall but don't want a too vampy color, Heaux is the lipstick you should reach for. 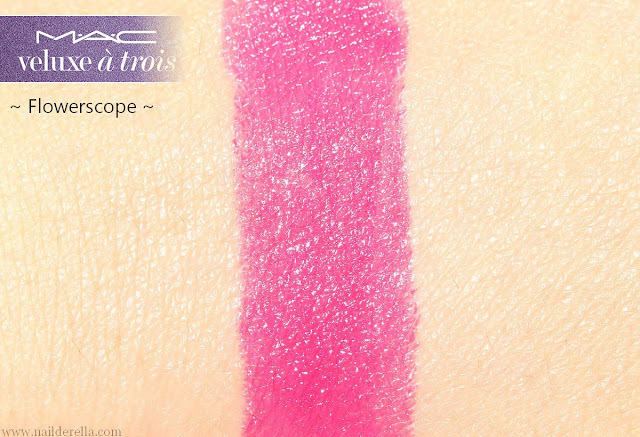 Its has a nice color payoff and lasts about 5 hours on lips. 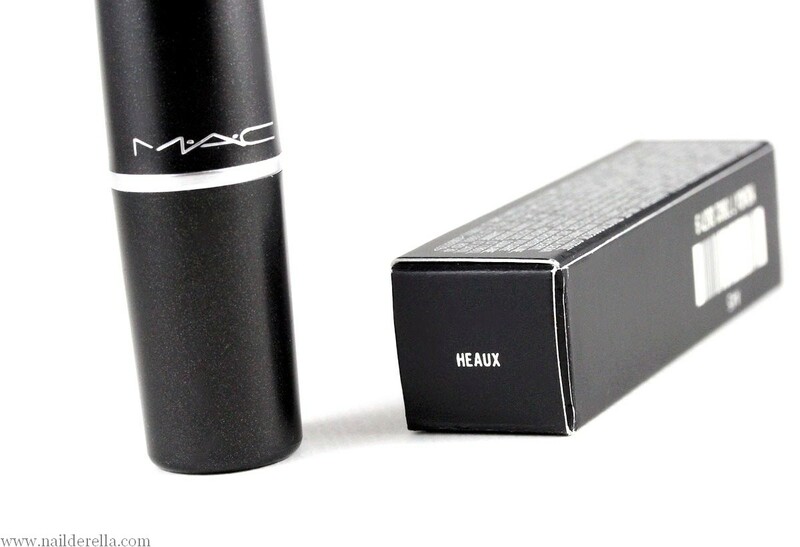 It's neither drying nor hydrating. I have here a quick comparison with D for Danger. 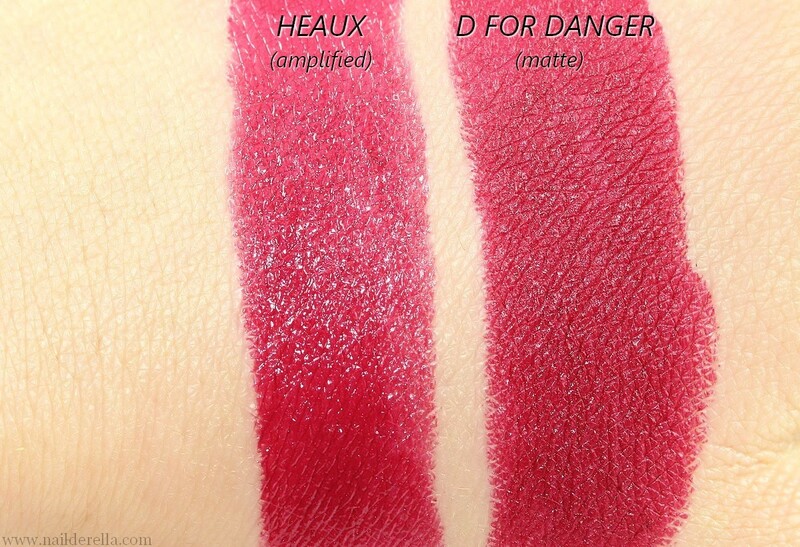 They have a different finish, D for Danger is matte but otherwise they are quite close in terms of color. D for Danger is slighter darker. MAC Flowerscope is described as a clean red-pink with blue undertone with a Cremesheen formula. 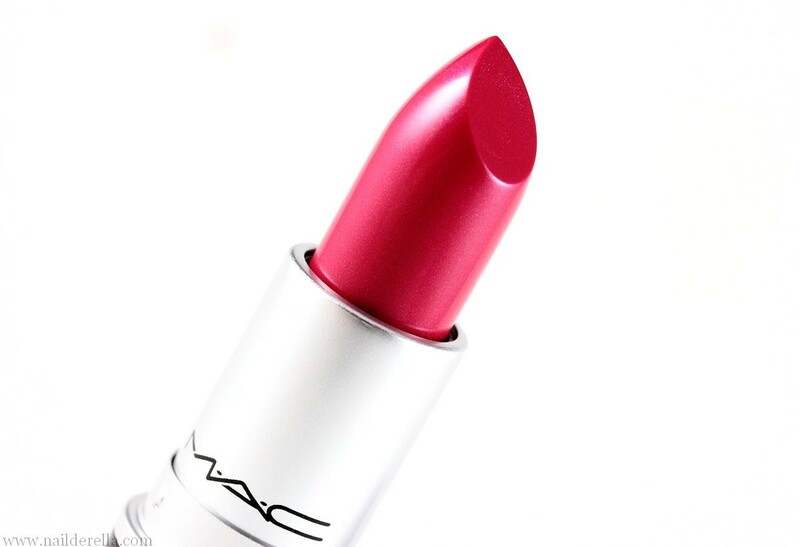 It's a bright fuchsia with cool undertones. 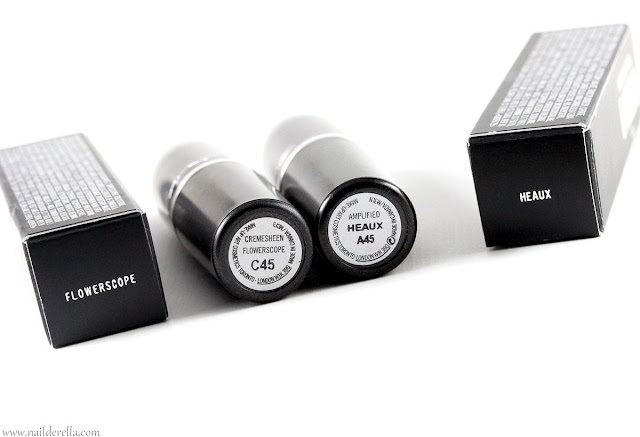 It's semi-opaque and lasts for about 5 hours. It's neither drying nor hydrating. 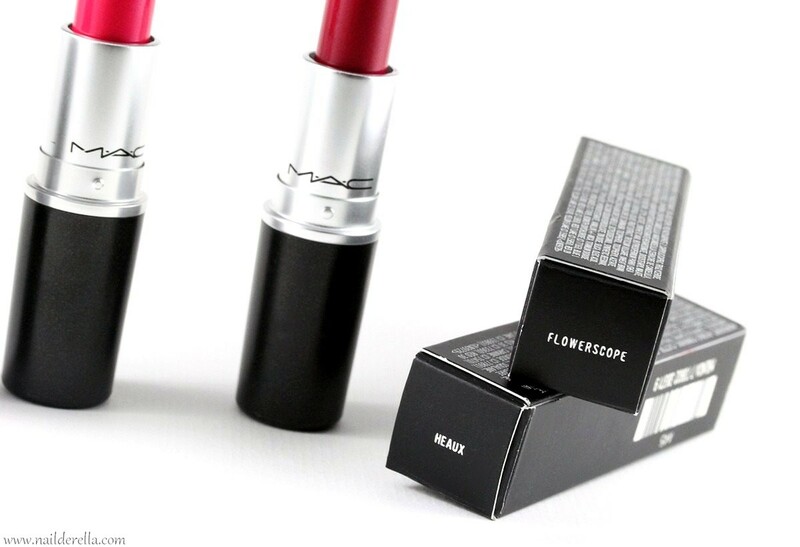 It's a fresh lipstick that immediately brightens up your complexion. 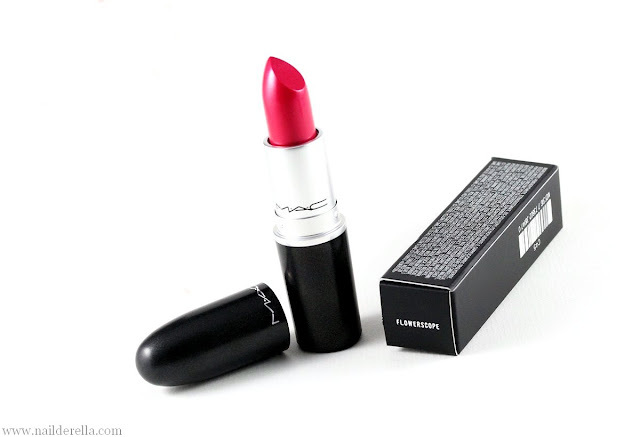 Compared to Viva Glam Miley Cyrus I, it's cooler. Miley Cryus is also a bit brighter. 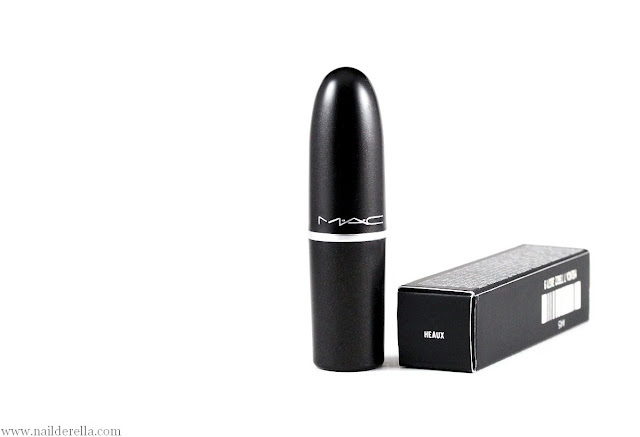 I hope you like this post ;) Do you have a favorite lipstick for fall? 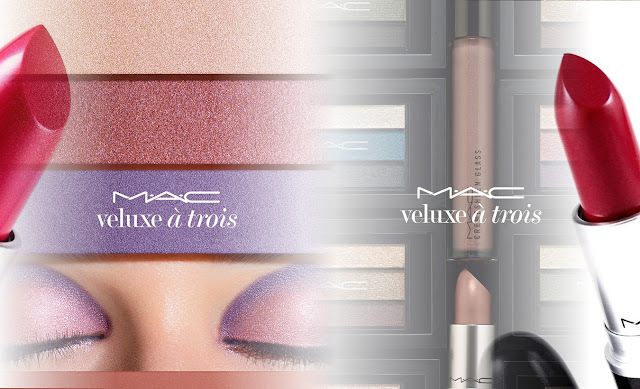 Did you pick something from this collection?